Guardians of Peace, the hacker group behind the massive Sony Pictures hack, is demanding the studio kill The Interview once and for all. 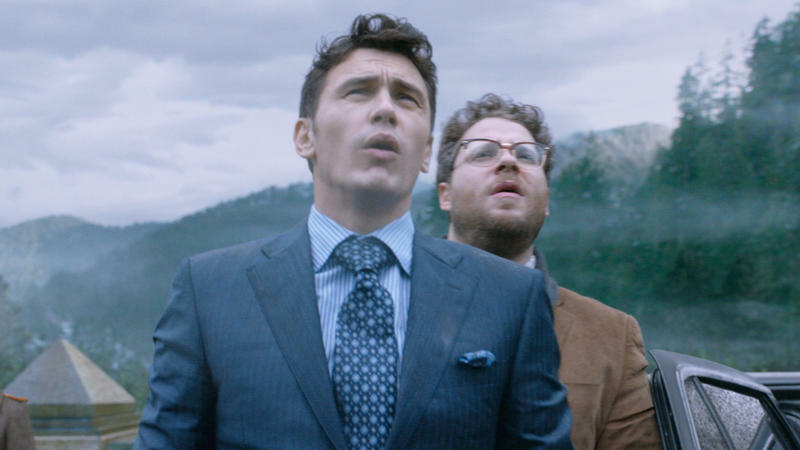 The movie, which follows James Franco and Seth Rogen as they attempt to assassinate Kim Jong-un, is set to hit theaters in just a few weeks—on Christmas day, actually. Marketing for the film is already at full bore, so it doesn't appear Sony has any intention of giving in. "We are sending you our warning again," the GoP writes. This isn't the first warning that's been sent to Sony about its controversial movie. Since the hack began, Sony has had to endure some huge leaks, including unreleased movies, passwords and private employee information hitting the Internet. According to the group behind the attack, that was just the tip of the iceberg. It's still unclear where the hack originated from, though evidence suggests it did come from the Koreas; recent information also suggests it may have come from a Bangkok hotel. North Korea has said it isn't involved with the hack, but did call it "righteous." "Do carry out our demand if you want to escape us," GoP says. "Stop immediately showing the movie of terrorism, which can break the regional peace and cause the War! You, SONY & FBI, cannot find us. We are perfect as much. The destiny of SONY is totally up to the wise reaction & measure of SONY." A number of links have been included with today's message, which certainly sounds very menacing. Given how things have gone so far, it looks like the situation is only going to get worse. It's unlikely Sony will bow to the hackers' demands, especially this close to release. But with threats of war, this might become a larger issue than just a movie with questionable subject matter.